La nuova Chrysler 200, erede della Sebring, � assemblata a Sterling Heights nel Michigan, ed arriver� nelle concessionarie per la fine del 2010. Sulla base della Chrysler 200 sar� costruita la futura berlina Lancia Flavia. 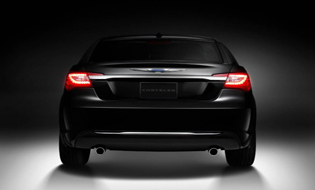 La Chrysler 200 � fondamentale per il mercato nordamericano poich� entrer� in un segmento di grande volume proponendo un elevato rapporto contenuti/prezzo per battere le varie Toyota Camry, Honda Accord, Ford Fusion e Taurus insieme alle Chevrolet Impala e Malibu e la nuova Volkswagen Jetta. 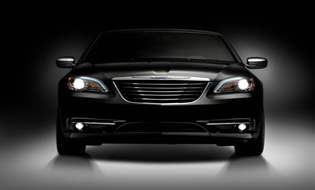 The new Chrysler 200, Sebring's heir, is assembled in Sterling Heights, Michigan, and will arrive in dealerships by the end of 2010. The future Lancia Flavia coupe will be built based on the Chrysler 200. The Chrysler 200 is crucial for the North American market as it will go into a high-volume segment by offering a high ratio of content/price to beat the various Toyota Camry, Honda Accord, Ford Fusion and Taurus along with the Chevrolet Impala and Malibu and the new Volkswagen Jetta.